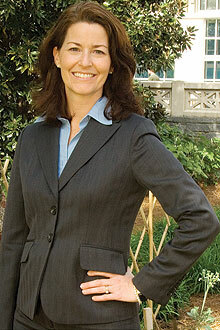 Ciannat Howett is director of sustainability initiatives at Emory. Howett has previously served as the director of the Southern Environmental Law Center, as well as time as a senior attorney for the Environmental Protection Agency. She is a 1987 graduate of Emory College, and has won many awards for her service including the 2002 U.S. EPA Gold Medal for Exceptional Service and the 2004 Environmental Hero Award from The Wilderness Society.